Mary is a pioneer in the field of touch therapies for the elderly and the chronically ill. She developed Comfort Touch®, a nurturing style of acupressure, in response to the special needs of people in medical settings. Mary is a nationally known consultant for massage research and training in medical settings, including NIH-funded studies with people with spinal cord injuries, cancer, and sickle cell anemia, as well as other studies involving diabetes and hospice/palliative care. 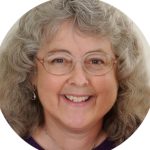 Since 1991 she has presented workshops in Comfort Touch® nationwide for thousands of massage therapists and other healthcare professionals, including the Health Education Network and the National Hospice and Palliative Care Organization. Mary is a licensed massage therapist, with a B.A. in Integrative Healing from Metropolitan State University of Denver. Since 1985 she has maintained a private practice in Barefoot Shiatsu and Integrative massage. She is the author of the textbook Comfort Touch® – Massage for the Elderly & the Ill (LWW 2010) and DVD of the same title; and Comfort Touch® of the Hands & Feet: A Guide for Family Caregivers (Wild Rose 2015). She is also a contributing author of Teaching Massage (LWW 2009), as well as numerous magazine articles. A recording of her piano music “Wild Roses” was released in 2014.